Professional, certified coaching packages tailored for individuals & organizations. The option to receive employee assessments, trainings with customized topic modules, surveys for ROI, live-stream webinars, and 1:1 employee coaching. If you're brand new to Verbal Courage coaching, I recommend you begin with the CLARITY KICKSTART which features an extremely insightful assessment. This package will take us underneath the symptoms of your issues to the root cause of what's going on; and shine a spotlight on what needs to shift in your life. You're a woman in a leadership role who wears your confidence like an exhausting facade. You're a woman who is ready to feel aligned and inspired about your career path—which you know involves stepping up and advocating for yourself. You're a woman who feels stuck—on a busyness treadmill you can't seem to find the off-ramp for—knowing there's a better way to live, but irritated and skeptical due to past failed attempts to calm your situation. CLARITY KICKSTART will provide deep insights into what you really want and what's currently blocking you from it. 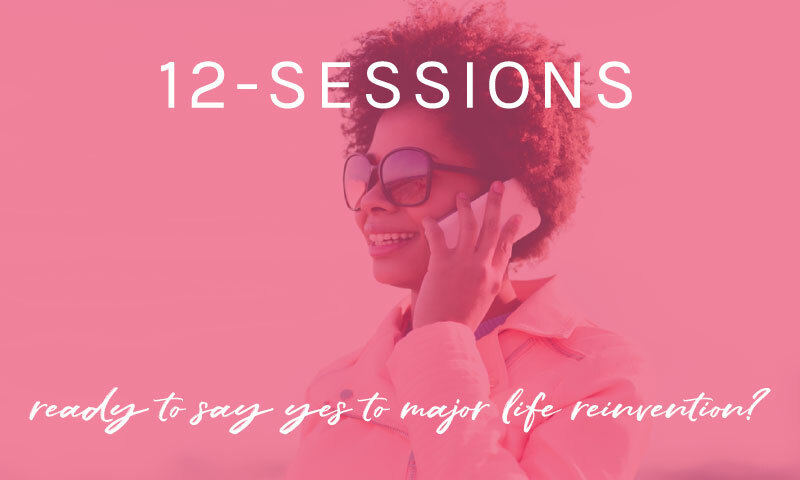 This is a great option if you are a past client in need of a tune-up or a newcomer who is considering a multi-session journey. The POWER SESSION is 50 minutes of skilled laser coaching to help you through an immediate challenge. True, sustainable transition takes ongoing commitment, courage, practice, and support. When you're seriously excited about empowering your voice to elevate your career or to take bold steps with your relationships, then a multi-session Verbal Courage coaching journey is a MUST! You'll look forward to your weekly 50-minute sessions as we peel back the layers of your personally imposed obstacles (the ones buried deep inside, that you aren't consciously aware of) to dismantle false stories, calm residual fears, and let go of habits that aren't serving you. I'll help you identify what you really want your life to be about; and with each session, we'll do the work and take the steps together to make that vision a reality. Are you ready to finally feel like the version of yourself you've kept waiting in the wings all these years? If you know the Verbal Courage coaching journey is for you (and a free discovery session will help you decide - email Chelsea@verbalcourage.com to schedule one), then why not commit to a truly transformative 12-session journey that includes the The Energy Leadership Index Assessment (see step 1 of the CLARITY KICKSTART program above for assessment details)? Chelsea has truly helped me understand myself better. After spending time with her I can honestly say I didn’t know myself before. During our time together, I developed an appreciation for myself and found ways to identify and bring smaller joys in everything I do. I would highly recommend working with Chelsea, irrespective of where you are in your career or personal journey.